In honor of the release of PR DELUXE... 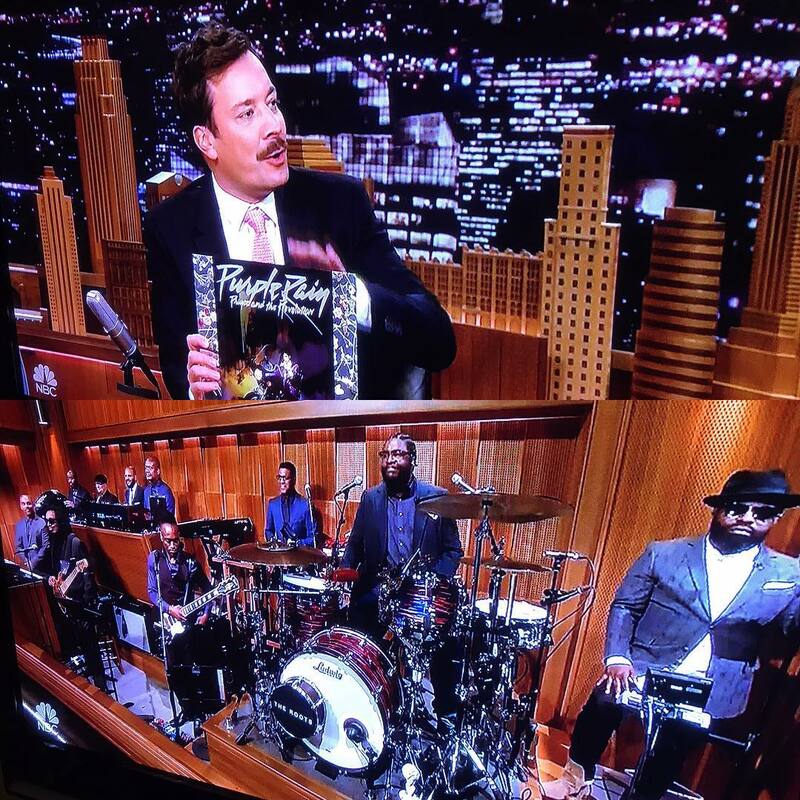 Right now on FALLON TONIGHT, Questlove and The Roots are playing PRINCE all night. The greatest live performer of our times was is and always will be Prince. All of it. Everything. Is U. Who were the guests so I can watch it on demand? Ray Romano was the headline guest. Cool! Jimmy Fallon sporting a pornstache cracks me up though. Jimmy's been growing that for a while (as a beard). . I think its just a summer thing. There was actually an episode devoted to him deciding which type of stache he was going to get--half way through the episode, he came back after the commerical break with the rest of his beard shaved off. He looks good..(and I dont really like staches). How about that part at the end when Jimmy says to Quest he a 10 sec of one them singing with Prince and the purple police or arseholes took it off of Questloves Instagram!!!! Wow, they still doing that BS!!! That was when Prince was alive and don't make this negative. They were laughing about it.